While you will come across two versions of Handy Backup, here we will focus on the solution available from handybackup.net and created by Novosoft. The latest version is 7.8.5 and it offers many improvements over the previous editions. As the name suggests, this backup software is focused on offering an easy solution. It offers multiple backup types including mirror, incremental, differential and full. Handy Backup brings a great selection of features and options that simplify the backup and restoring process. There is a Standard version, a Professional one and one designed for Small Business. Handy Backup Standard is available for $39, the Professional edition costs $99 and the Small Business solution is priced at $249. The installation process is simple and you can get started with the help of the startup wizard, which will take you through every step to complete your first backup. The software automatically selects the most common folders for backup such as Documents, Music and Desktop. 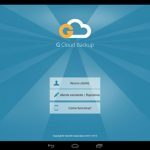 The software allows you to choose other options and once you have made your selection, you can start the backup straight away or leave it for later. By default, Handy Backup supports incremental backups, which means that only changes to files would be backed up, instead of the entirety of the file. Full backups and differential backups are also available. Handy Backup also offers compression and encryption, as well as advanced settings. Files and folders can be backed up individually or you can backup the full system. It is possible to capture images of your system and you can backup all files that are open and being used at that moment. The bad news is that it is not possible to restore hard drive images and cloud backup is not available. However, there is a good selection of features including password encryption of 128-bit. Temporary files can be excluded from the backup and you can verify your disk once the backup process is completed to verify that there were no errors. The compression functionality allow you to optimize your disk space and overall, the program is easy to use and effective. The process of restoring files is also very simple and fast. You just need to right click on the folder that you want to restore and click “Restore”. Alternatively, a restore task can also be set up going to File and then selecting New Task. 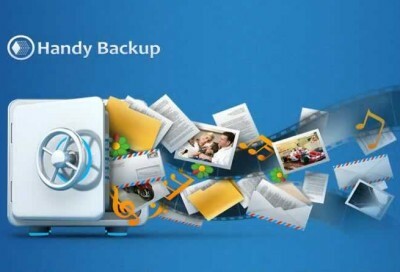 Handy Backup offers an array of restoration and recovery tools. It allows you to restore specific files and folders to your computer. Data can be restored to a separate location and there are even scheduled restoring features available. 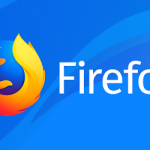 The downside is that there is not disaster recovery module in the Standard, which means that it is not possible to back up and restore data separately. This option is supported in the Professional version, but for an additional cost. Backups can be scheduled daily, weekly or monthly. Alternatively, you can select the time and specify the frequency of the backups according to your needs. All backup activity can be accessed on a log and you can also receive email notifications to keep you updated about the progress of automatic backups. Handy Backup doesn’t offer virus-scanning functionality, it doesn’t support backup capabilities and it is not possible to backup data to FTPS or SFTP. It is also possible to synchronize data between two locations such as your home and office computer. Files can be copied in one direction or mirrored between two locations. You can create a USB recovery drive, which will enable you restore data outside of your operating system. Keep in mind that CD/DVD is not supported, just USB and flash drives. You can backup and recover your whole hard drive. In addition, Handy Backup provides support via email and phone. The website also offers useful guides and a handy FAQ section. Handy Backup is a convenient option to back up and restore your data. It is easy to use and it supports useful features. The downside is that some advanced functionality like virus scanning, but if you are looking for a basic solution, this is a good choice.